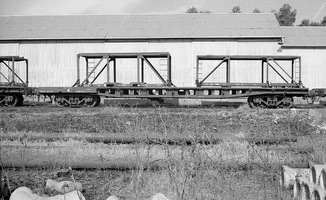 Narrow gauge flat wagons, which were classified "NRH" and allocated road numbers 1474 through 1488. 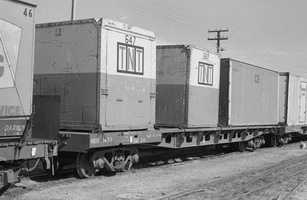 These vehicles were part of an order for 35 standard gauge "RG" class wagons built by Tomlinson of Western Australia, contract number 2632. 26.7.1965 Entered service as narrow gauge flat wagon "NRH 1474". 26.7.1965 Entered service as narrow gauge flat wagon "NRH 1475". 6.8.1965 Entered service as narrow gauge flat wagon "NRH 1476". 27.8.1965 Entered service as narrow gauge flat wagon "NRH 1477". 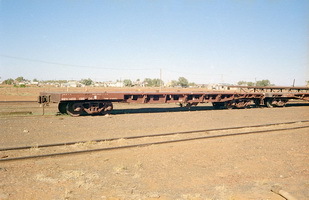 - Used as rail wagon recoded "AFRY". 9.6.1994 Combined with "AKRF 1600" as "RKRF 3177". 5.8.1965 Entered service as narrow gauge flat wagon "NRH 1478". 20.8.1965 Entered service as narrow gauge flat wagon "NRH 1479". 13.8.1965 Entered service as narrow gauge flat wagon "NRH 1480". 27.8.1965 Entered service as narrow gauge flat wagon "NRH 1481". 16.9.1965 Entered service as narrow gauge flat wagon "NRH 1482". 4.11.1965 Entered service as narrow gauge flat wagon "NRH 1483". 20.8.1965 Entered service as narrow gauge flat wagon "NRH 1484". 13.8.1965 Entered service as narrow gauge flat wagon "NRH 1485". 10.9.1965 Entered service as narrow gauge flat wagon "NRH 1486". 7.9.1965 Entered service as narrow gauge flat wagon "NRH 1487". 3.9.1965 Entered service as narrow gauge flat wagon "NRH 1488".